One of the best ways of future-proofing your new smart home is with a structured media enclosure. Image: Digitized House Media. With the Fall 2018 release of macOS Mojave, the Apple Home app comes to the Mac desktop for the first time. Image: Apple. Finally, some synergy with Apple HomeKit, Apple TV, and the Home app: With iOS 11.4 and tvOS 11.4, Apple TVs will appear in the Home app and can play AirPlay 2 audio. Image: Digitized House Media. The Digitized House channel in the Apple News app. Image: Digitized House Media. 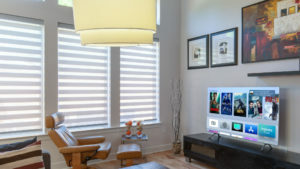 Nice S.p.A. and abode systems will join their global home automation forces. Image: Nice Group USA. Nest Temperature Sensor (right) pictured with Nest Thermostat E. Image: Nest. April 9 is Internet of Things Day. Image: Digitized House. Nest x Yale smart door lock. Image: Nest and Yale.